Home Mobile Phone Review Tech News Mobile Number Portability Launched in India, Learn How To Change Mobile Operator ? 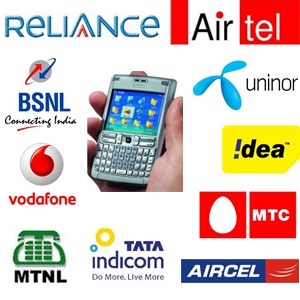 Mobile Number Portability Launched in India, Learn How To Change Mobile Operator ? You can now leave your old service provider for a new one and keep the old number. Communications minister Kapil Sibal launched the eagerly-awaited mobile number portability scheme in Haryana on Thursday to allow cellphone users to change their operators while retaining existing numbers. To demonstrate the launch, the minister made the first call from a "ported" mobile phone to Haryana chief minister Bhupinder Singh Hooda. The operator, according to officials here, was changed from a state-run company to Idea Cellular. "On Jan 20 next year, mobile number portability will be available nationwide," Sibal said at a function to launch this scheme from this town that is a part of the Haryana telecom circle. 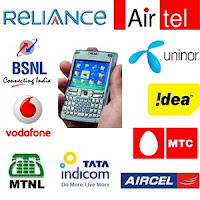 Haryana has a total of eight operators including Airtel, Idea Cellular, state-run Bharat Sanchar Nigam, Aircel, Loop, Vodafone, Etisalat and Videocon. 1. They will have to send an SMS from their phone to 1900. 2. Based on this, they will get a unique porting code from the existing provider. 3. The customer has to fill an application mentioning the code to the selected new service provider for transferring the number. 5. The fee charge may cost you about Rs 19. Your cell number will be switched off for only one hour. All bills after that are paid to your new company. You'll be stuck with them for at least 50 days before you can shift again, so choose with care. While you can shift from a GSM service to CDMA or vice versa, you cannot shift from one state to another. "The circles don't change. If you are in Delhi, you are a Delhi subscriber. If you shift from one state to another, roaming kicks in, just like it does right now,"
However, if you stay in Haryana, you can switch companies starting on November 25. Everyone else will have to wait till early next year (2011). The industry says it can cope with the huge data transfers, without compromising national security. "If in case, the Government wants to track or monitor someone, there will be robust methods to do that. Anyone planning to misuse the system because of MNP is going to be sorely disappointed,"